My shoulders shook as I quietly sobbed in my laundry room. With the door closed, I texted my two best friends who lived an ocean away. We had moved across the world to plant a church and my pastor husband was despairing at our progress. I didn’t know what to do. We had taken a risk, a huge leap of faith, and it was not going well. 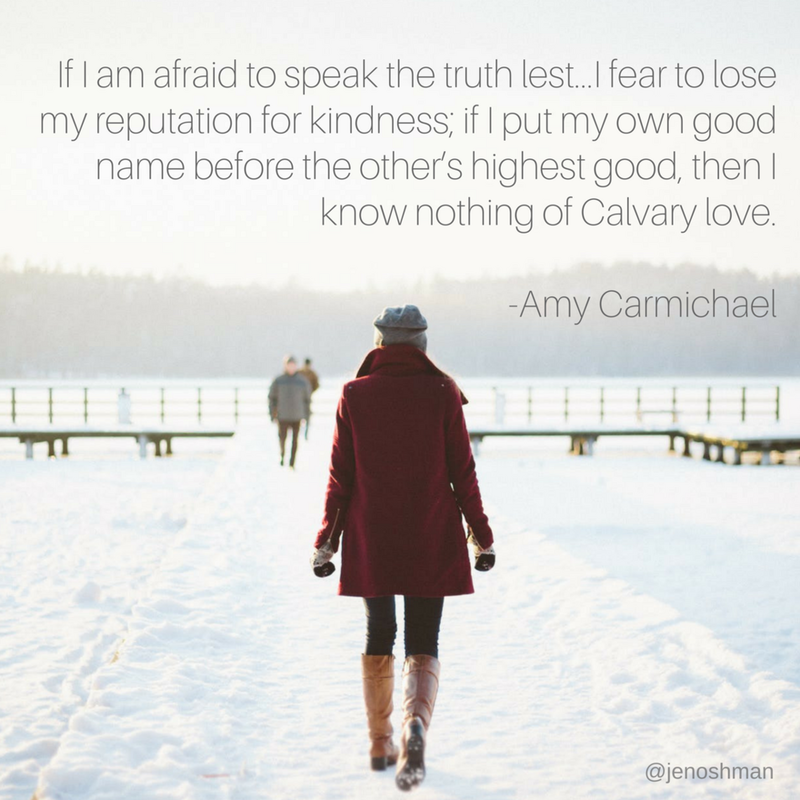 My husband was plagued by the pitfalls that so many pastors face: feeling incompetent, comparing himself to others who had gotten farther faster, unsure of how to meet the demands of our fledgling community, unable to please everyone involved. He wondered if he was even called and qualified to be there. The weight of the church plant, our family’s well-being, his career, the calling we felt we had received from God, were on his shoulders. I know I’m not the only pastor’s wife who has stolen away to a quiet corner of the house to weep over her husband’s discouragement. I think every pastor’s wife has felt the punch to the gut of a despairing husband who’s suffering in the midst of his calling. We fear that they’ll never emerge from the darkness and we don’t know how to help. Because we pastors’ wives are in life and ministry with our husbands, because our days and callings and work and relationships overlap, our husbands’ despair is our despair. We are entrenched together like few, if any, other occupations in society. Even when we work outside the home or outside the church, as pastors’ wives, our families, our days, our rhythms of life are set by our husband’s role. And so, when they suffer, we suffer. Recent research says that nearly half of all pastors will struggle with depression at some point in their career. But no doubt if you include seasons of melancholy and dejection, that number is more like one hundred percent. All pastors endure times of hopelessness. We were not meant to carry the burden of our husband’s discouragement personally. The weight of our pastor husband’s despair can be immense and when we’re unsure of how to help them it can feel especially heavy. The very first thing to do when we sense our husbands slipping into sadness is to pray for them and then to pray for ourselves, that we will not personally bear the weight of it all. We must “cast [our] burden on the Lord, and he will sustain [us]” and remember that “he will never permit the righteous to be moved” (Psalm 55:22). We must entrust this burden to the Lord and not carry it ourselves—we are not meant to. Only the Lord can ultimately meet our husbands in their hour of need. Not only must we cast our own burden on the Lord, but we must remember that he is the only one who can change our husbands’ hearts. Because we operate in tandem with them on everything, it’s easy to feel like it’s our responsibility to alleviate their suffering. But the truth is, we do not have the power that the Holy Spirit has. While we can certainly take practical steps to encourage our husbands, we cannot heal them from the inside out as only the Lord can. Before his death, Jesus told his disciples he would send them a Helper, the Holy Spirit who would give them peace (John 14:26-27). It is the fruit of the Spirit that gives joy and peace (Galatians 5:22), not the fruit of a wife’s best efforts—we simply cannot go where the Spirit can. We must guard our own hearts from following our husbands into despair. How easy it is to allow our own spiritual and emotional states to rise and fall with our husbands. Since, we do so much life with them it’s easy to become dependent on them for our own vitality. To combat this it is essential that we maintain time in the Word of God, putting our hope and trust in Christ alone. God’s Word is a light to our feet in the dark times and seasons of life (Psalm 119:105). We must also stay plugged in to the people of God in our local churches and outside of them. Isolation is a tool in the enemy’s hand to keep us discouraged. When our husbands are down, it is imperative that we stay connected to our sisters and family in Christ who will hold us up. We must also maintain time in prayer to God, trusting him to meet us and minister to us there. Ultimately, our spiritual health must rest in the character of God and not in the circumstances of our husband’s well being. Finally, we must remember and rest in the truth that God is sovereign. When my husband is discouraged and things feel out of control, the first chapter of Colossians soothes my soul. When I fix my eyes on Jesus, I remember that he is God and I am not. I remember that “by him all things were created…and in him all things hold together. And he is the head of the body, the church” (Colossians 1:16-18). I remember that my husband was created by God and for God. I remember that nothing is outside of God’s control and in him all things hold together. When our husbands are spiraling downward, it is tempting to think that our churches and families and very lives will come crashing down. But God is God and we are not. And our husbands are not. The Lord is on his throne as always, and he is good and trustworthy. May these truths give us light when our worlds feel dark. Our pastor husbands will indeed endure seasons of highs and seasons of lows, but “Jesus Christ is the same yesterday and today and forever” (Hebrews 13:8) and he promises to never leave us nor forsake us (Hebrews 13:5). May you and I, dear sister and fellow pastor’s wife, always remember to cast our cares on the Lord, to entrust our pastor husbands to the Holy Spirit, to maintain our own spiritual vitality, and to rest deeply in God’s sovereignty. Author’s Note: This article was originally published at Servants of Grace.